South Beach is two highly designed towers of 47 unique residences with floor to ceiling panoramic ocean and shoreline views. Private elevators open directly into two to four bedroom units, ranging from 1,538-3,382 sq. ft of luxurious living space. The finest designer features include Miami inspired kitchens and bathrooms with imported European porcelain, cabinetry, premium appliances and top of the line fixtures; recessed lighting; and walk in closets. Every home includes private outdoor spaces with fireplaces for easy entertaining. 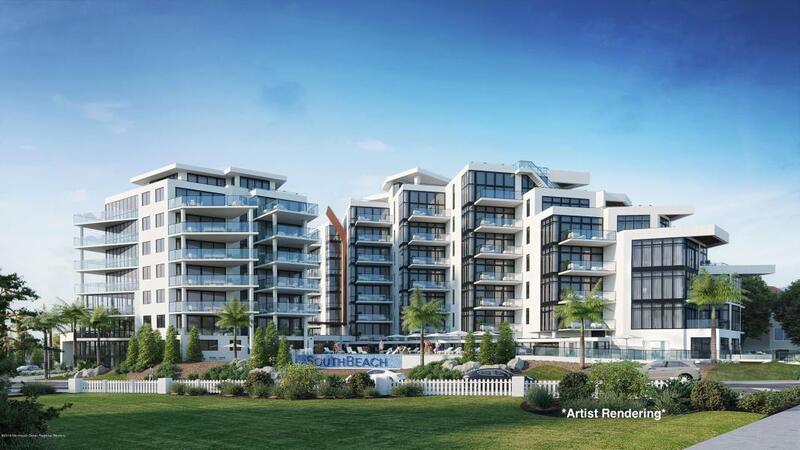 Residents will enjoy community features that include a saltwater infinity-edge pool with waterfall, sand patio and raised sundecks. In house concierge services will be available along with a high-tech 24/7 gym, business center, parking with two to four spaces per residence. They will have a garage storage unit, an outdoor patio and common grill area, a private dining room and four beautifully appointed spacious hotel-style guest suites with private kitchenettes to accommodate residents' guests. South Beach is close to Pier Village, Seven Presidents park and easily accessible by car, train, or ferry.